In 1998, The Crow Wing County Genealogical Society Newsletter in Brainerd, Minnesota published an article about George Angus Barclay. This article appeared in their Heir Mail newsletter. The editor kindly sent me a copy and I thought it was well done considering he was not her ancestor. George Barclay operated a hotel and store in Pine River for a number of years. He was also engaged in lumber operations in the areas. Later Brainerd historian, Sarah Thorp Herald added, “In 1894 Barclay’s establishment had lost all resemblance to a trading-post and had become a lumberman’s hotel of some pretensions. It was a two-storied structure with the inevitable “false front” of frontier towns, and stood in a grove of jack pines near the newly-laid Brainerd and Northern Railroad tracks. I have visited the Crow Wing Genealogical Society in Brainerd located in the Family History Center near the Church. http://www.rootsweb.ancestry.com/~mncrowwi/gs/ Researching George Barclay and Amarilla required extending my search beyond Cass County. I thank them for this nicely done article on my great-grandfather. I wrote a post on this blog about George’s service as a Wagoner in the Civil War. It is really difficult to find information about men who served in the support part of the Civil War. The focus is the battles and the officers. It has turned out to be one of the most popular posts on this blog. A quick Google search reveals a little more information about this valuable service to the war effort now appearing online. In 2000 and 2001, I visited Brainerd on my trips to Minnesota. I was stunned to learn that there was no tombstone for my great-grandmother Amarilla. She was buried in the plot with George Angus Barclay, their son George Alexander Barclay, and the first baby of daughter Grace and husband R.S. McDonald. Barclay Plot Evergreen Cemetery 2000. I set about getting a tombstone for my great-grandmother and by the next visit in 2001 it was in place. Nothing fancy just a stone that gave her information. Her tombstone is in the forefront of the picture below. Much better, only problem is it reads as her birth year 1859, it should be 1858. Darn! I don’t understand how that happened but apparently it is not unusual for mistakes to be made on tombstones. Sigh! I do have my records and the paperwork asking me to check the information. The form says 1859, but I did not make note of any changes so I could not go back and complain to the company who did the stone. So my advice, if you create a stone for an ancestor keep careful notes. It is not easy to do it from afar. In the following picture you can see the new tombstone in the foreground. Amarilla should read 1858 for her birth year. Well it is only two months off. Sigh! We visited again in 2007 before heading up to Pine River. At least great grandma has recognition now. Find A Grave has memorials to the Barclay’s with information, links, tombstones and more. The people who had created the memorials where kind to transfer the management to me and in some cases added new information. The memorials continue to evolve as I add links and information. Cass Lake, Minn, April 9, 1901, First Edition, page 3 – During the past week, the plans of a number of the residents of the southern portion of Cass county to move the county seat from Walker to Pine River, the southern residents in return to assist in creating a new county with Cass Lake as the county seat, have been made public. J.G. Dawes, a resident of Pine River, was here for several days and broached the subject to a number of prominent citizens. He appears with Amarilla in the 1900 U.S. Federal Census as store clerk. In 1902 and they married in Minneapolis. He became mayor of Pine River and he and Amarilla platted the city of Pine River. He built the house in 1904 for Amarilla which still exists. He ventured out to Longville, about this time, and platted that town and built a hotel there. Source: Jefferson was listed with Amarilla in the 1905 Minnesota State Census, in Pine River, Walden Twp., Cass Co., Minnesota, enumerated 1-2 June, 1905 by Daniel Kline, Line 11, Dawes Jefferson G, Pine River, Male, 56, W, born New York, parents born in England, 29, 1, 9, 4, Retired. Dawes, Ammarilla, Pine River, F, 46, W, born Iowa, parents born Ohio, 28, 3, 28, 3, Retired. After 1905, I have not been able to show that Amarilla or J.G. were together. So what happened to J.G. Dawes from about 1905 to 1919 when I pick up his trail again. Well J.G. Dawes, being the salesman he was, got a long just fine. Here are some articles about J.G. from the newspapers that I found very interesting. The Brainerd Dispatch on Tuesday, May 19, 1914, page 5 J.G. Dawes impresses visitors from Duluth, B.J. Madden and J.D. Campbell, large stockholders in the Cuyuna-Mille Lacs mine – In the city they met J.G. Dawes former mayor of Pine River, who now makes his headquarters in Brainerd and who is selling agricultural lands and stirring up immigration for Crow Wing county. He has some of the best kind of land for stock raising. The Brainerd Dispatch on Friday, May 14, 1915 page 23 had an advertisement for the Dawes Farm Land Company, J.G. Dawes, Manager. The Brainerd Dispatch on Monday Nov. 6, 1916, page 5 – Value of Farms Lands Increase, J.G. Dawes of the Dawes Farm Land Agency, Gives Reasons Why an Advance is Due. Now is the Best time to Buy, Prices for Farm Products are the Highest Since the Civil War, Land at Bottom Price. This is a long article with J.G. giving his opinion about agricultural lands and it is quite interesting, here is a little bit: “In an interview accorded the Dispatch, J.G. Dawes, head of the Dawes Farm Land Agency, stated that now was the time to buy land, as in his opinion the bottom had been reached in prices, etc…But now the fear of war has vanished, and the political campaign will be over in a few days. With the prices of farm products still at such a high notch and stocks of all kinds of farm products so far below normal it will take at least three good average crops to replace our stocks to a normal condition….He goes on to encourage people to buy. The Brainerd Dispatch presents another article on Tuesday, Sept. 9, 1919, page 5 with J.G. Dawes’ Plan Selling Farms, In These Days of Over Inflation of Land Values, Mr. Dawes has the Sanest Selling Plan. No Options are Allowed, Substantial First Payments are required on Land, Owner Continues Tenancy for Period….J.G. Dawes of the Dawes Land Co. of Brainerd has a plan which is conservative and just alike to buyer and seller, protecting especially the farmer wishing to sell his land.” The article is very detailed and went on about how the plan works. So we see from the above that J.G. Dawes was making his way in the world and doing well. Stepping back in time a little we review that on 18 August, 1909 Amarilla was granted a divorce from J.G. Dawes. J.G. didn’t contest it even though he felt it was unfair. The terms of the divorce was divorce by cruel and inhuman manner which is a catch-all for just about any reason to get a divorce back then. In today’s world we have some form of no fault divorce. I could not find J.G. in the 1910 census but he is tracked down by the Special Examiner for Civil War Pensions. This man found J.G. Dawes living in Brainerd in 1919 which is confirmed by the above articles from the newspaper. This places J.G. Dawes in the 1920 U.S. Federal Census there and he has not remarried. Source: Jefferson G. Dawes, 1920 U.S. Federal Census, City of Brainerd, Crow Wing. Co., Minnesota, Vol. 15, ED 122, Sheet 18, Line 93, M1569, Roll #31, D200. Jefferson G. Dawes, white, age 71, divorced, birth place New York, living on 6th street, in-house 2215, living alone, father born in Ohio, mother in England. Occupation: Sales, [real estate]. J.G. Dawes is still in Brainerd in 1930 but he is now 83 years old. Source: J.G. Dawes, 1930 U.S. Census, Brainerd, Crow Wing Co., Minnesota, ED#18-1, SD#5, Sht#5A, enumerated on April 4, 1930 by a Mrs. Margaret I. Henderson. Line 35, 30, 62, Dawes, Jefferson G, Head, R, 5, No, M, W, 83, S, No, Yes, born New York, father born Ohio, mother Canada English, yes, no occupation. Jefferson G. Dawes died on October 4, 1933 in Brainerd, Crow Wing Co., Minnesota. He was 86 years old. Source: Jefferson G. Dawes (Daws), Certificate of Death, #3082 – Oct 4, 1933, FHL#2242330. Died in Brainerd, Crow Co., Minnesota. Residence 404 4th Ave NE., died on Oct. 4, 1933. Male, white, single. Born Mar 7, 1847 (1874 crossed out), 86 yrs, 6 mos. 27 days, occupation laborer, born in New York, father was James Daws and mother was Mary Ann Sooderhaus (spelling unclear). Birthplaces of both parents unknown. Information was a Mrs. M. Hall B…….Place of burial Brainerd on Oct. 6, 1933, signed by undertaker D.E. Whitney, filed 10/10/1933. He died of Cardiac Insufficiency and other complications. Aged Resident of City Succumbs, October 6, 1933, page 1. J. G. Dawes, aged resident of Pine River and Brainerd died after a long illness Tuesday evening at the Brainerd City home. Funeral services were not announced yesterday. Mr. Dawes was well known resident of the area, having lived in Pine River for many years since, in fact, the early lumber days in this vicinity, and was involved in some of the early events of the community. He had been residing for some time in Brainerd, and for several years had made his home in the municipal home in Northeast Brainerd. Funeral arrangements were being completed today for Jefferson G. Dawes, 86, who died in the city home early today. The deceased was born in New York, March 7, 1847. Brainerd Journal Press, front page 1. On October 6, 1933 this appears: Jefferson Dawes Dead, Jefferson Dawes, 86 year old, a familiar figure in Brainerd for the past few years, formerly being in the real estate business here, passed away Wednesday and the funeral was held today. Mr. Dawes was born in New York, March 7, 1847. After searching, I was unable to locate a probate or estate record in the Crow Wing Court records for J.G. Dawes, which I find as odd. I now feel that I would like to do deed search on J.G. Dawes to see where it lead him. I was focusing on the Barclay’s so I had not really sought out J.G. Dawes. On one of my trips to Minnesota, I visited the Evergreen Cemetery in Brainerd and sought out J.G. Dawes’ burial location and tombstone. Unfortunately, I was unable to find a tombstone for J.G. but he is buried there. The picture below is the approximate location of his grave. This cemetery is well-kept but even with the best care a stone can disappear. Whether he had one originally it is hard to say. There is a Find A Grave memorial for Jefferson Dawes with some links. J.G. Dawes, Evergreen Cemetery in Brainerd, MN. A PAGE at the top of this blog had a table of contents of the posts written about Amarilla and J.G. Dawes is listed as well. You will have to scroll down to find his section but remember you might need to read about Amarilla from about 1898 on so that you can understand how J.G. fits into the events of the town of Pine River. I wish I could have learned more about his background, parents and family. I suspect that he had a sister in living in Brainerd, maybe that is the Mrs. Hall in the death certificate? If his parents came from England this means he is a newer line of the Dawes Family. 1. Joella Edith Spracklin was born 25 May, 1887 and died 7 March, 1890 in Calhoun Co., Iowa. She is buried in the Cedar Township Cemetery in Calhoun Co., Iowa. This cemetery is near Rinard. Source: Calhoun County Iowa Cemeteries, pg. 3, 19, Cedar Twp. Cemetery, Published by the Iowa Genealogical Society, Des Moines, Iowa. Row 13, Spracklin, Joelle E. Died Mar. 7, 1890 2 yr 9 mo 11 days a daughter of Virda Spracklin. Note: Find A Grave has a picture of the tombstone and it seems to verify the dates. My Legacy date calculator, and using the age given, says that she was born in 1887. 2. Daniel Dair Spracklin was born 14 September, 1890 in Calhoun Co., Iowa. He died 3 November, 1975 in South Dakota. 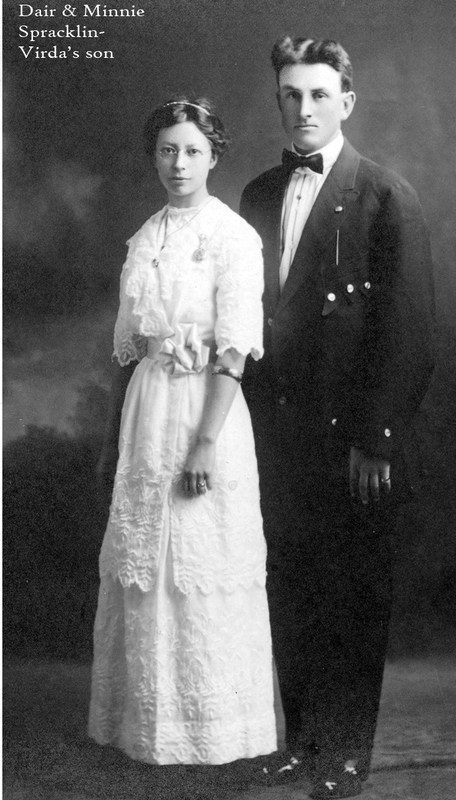 He married Minnie May Schlund on 11 March, 1914 in Sanborn, South Dakota. 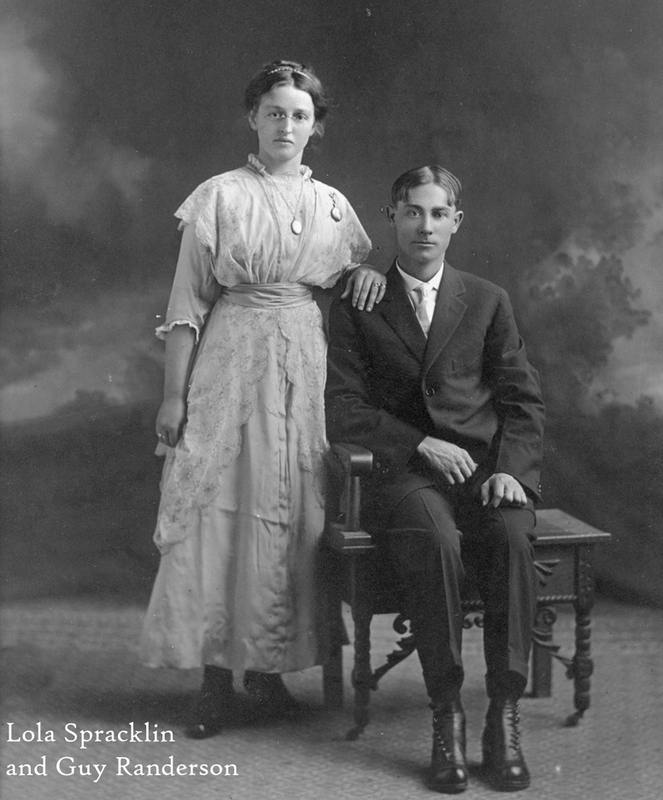 Source: South Dakota Marriages, 1905-2013, Daniel D. Spracklin, Male, age 23, born about 1891 residing in Woonsocket, Sanborn, married 11 March, 1914 in Sanborn #41272, Spouse Minnie May Schlund. Source: Dais D. Spracklin Family, 1920 U.S. Federal Census, Alpena Twp., Jerauld, South Dakota, SD 1, ED 110, Sht 9A,T625-1721, Image 17. Dais D. Spracklin, age 29, born in Iowa, parents born in Iowa. General Farmer. Under him is Minne M., wife who is 25 years old, born in So. Dakota, parents born Iowa and Ohio. Sadly Minnie died on 7 October, 1929 in Sanborn Co., per the South Dakota Death Index. In 1930 Daniel is living on his own as a lodger with a Burt Swenson. It is interesting that it does not give a first name. Source: 1930 U.S. Federal Census, Daniel D. Spracklin, Franklin Twp., Jerauld Co., South Dakota, Town of Lane, ED#37-11, SD#5, Sht#2B, enumerated April 19, 1930, by S.H. May. Line 79, Leland Street, Spracklin, boarder, M, W, 39, Widowed. No, yes, born Iowa, parents born Iowa, yes, Manager, Standard Oil Co., 8989 W, yes, no. On July 5, 1930 he remarried to Adah Kanger. Source: A second marriage for Daniel Dair Spracklin is listed in the South Dakota Marriages 1905-2013, male, age 39, born about 1891 residence Lane, Jerauld, marriage 5 July 1930 in Beadle, South Dakota #138787, Reg#5702, Spouse Adah Kanger. Daniel and Adah are living in Woonsocket, Sanborn, South Dakota in the 1940 U.S. Census. Source: 1940 U.S. Federal Census, Woonsocket City, Sanborn, South Dakota, Ward 2, Block 12-13-15-19-20-21, SD#5, ED#56-18, Sht#8A, enumerated April 1940, by Birdie T. Kogel. Line 27, 185, 9, 1000, 5th Ave., Spracklin, Dair D. Head, M, W, 49, M, No, 8, 8, born Iowa, Same place. no yes, truck driver, road construction, GW, 33, 514, yes. Spracklin, Adah B, wife, F, W, 50 M, No. 8, 8, So. Dakota, same house, no, no, no, no, H, 0, 0, no. It looks like Daniel did not have any children with either wife. Find A Grave has a picture of his tombstone that includes his two wives. It is in the Eventide Cemetery in Woonsocket, South Dakota. 3. 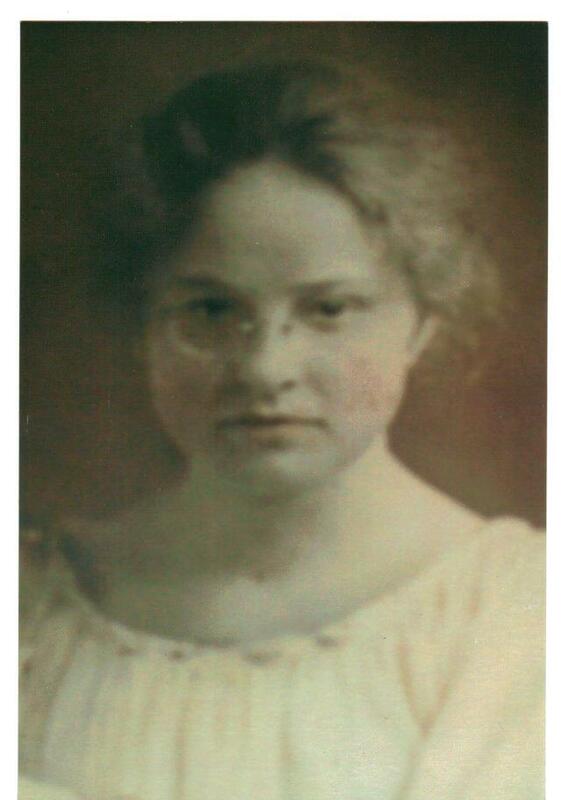 Lola Isabelle Spracklin was born 29 December, 1892 in Calhoun Co., Iowa and died 29 December, 1975. She married Guy Randerson on 22 December, 1915 in Woonsocket, South Dakota. 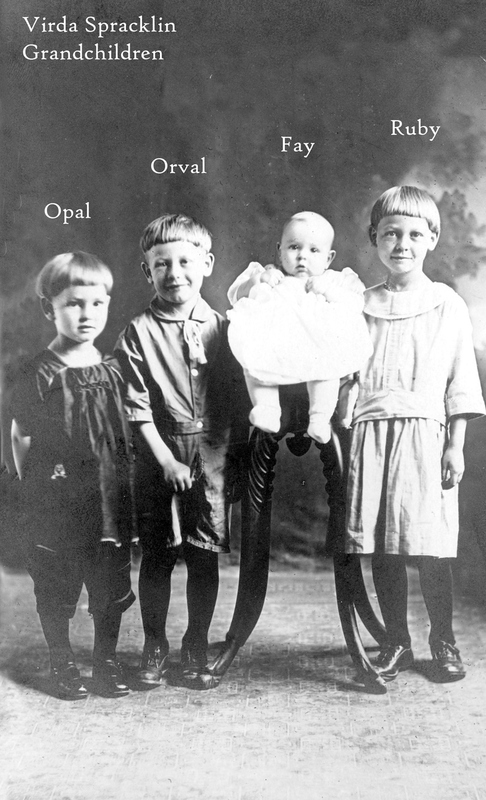 They had four children: Ruby M., Orval A., Opal A. and Fay A. Source: South Dakota Marriages, 1905-2013, Lola L. Spracklin to Guy Randerson, #50478. Lola L female age 22, born about 1893, residence Woomay D, Sanborn, marriage 22 December 1915, Sanborn, SD to Guy Randerson. Source: Guy Randerson Family, 1920 U.S. Federal Census, Warren Twp., Sanborn Co., South Dakota, SD#312, ED220, Sht#2, enumerated 27-28 January 1920, by ____Ray. Line 59, ____29, 30, Randerson Guy, Head, O, M, M, W, 30, M, yes, yes, born South Dakota, father born Ohio, mother born Missouri, farm, general farm, ___, 30. Randerson, Lola I., wife, F, W, 27, M, yes, yes, born Iowa. Randerson, Ruby, M. daughter, F, W, 2 6/12, S, born South Dakota. 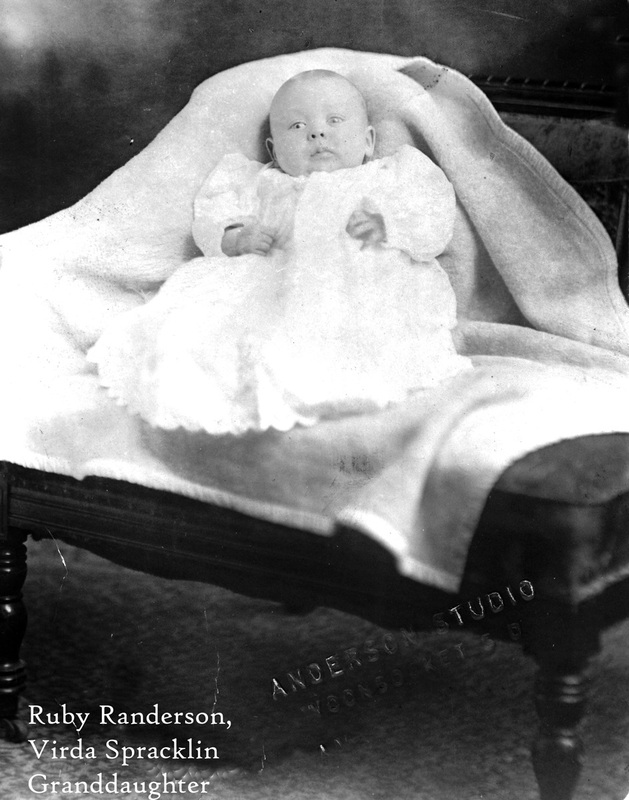 Randerson, Orreal A., Son, M, W, 1 2/12, S, born South Dakota. In 1930 they are still living in Warren Twp. Source: Guy Randerson Family, 1930 U.S. Federal Census, Warren Twp., Sanborn Co., South Dakota, ED#56-17, SD#5, Sht#2A, enumerated 5 April, 1930, by Edwin R. Newcomb. Line 24, Far 7, 31, 32, Randerson, Guy, Head, O, yes, M, W, 40, M, 26, no, yes, South Dakota, Father Ohio, mother Missouri, Farmer, general, O, yes, no, 30. Randerson, Lola I, wife-H, F, W, 37, M, 22, no, yes, born Iowa, parents born Iowa. Randerson, Ruby M, daughter, F, W, 12, S, yes, yes, born South Dakota. Randerson, Orval A, son, M, W, 11, S, yes, yes, born South Dakota. Randerson, Opal A., daughter, F, W, 9, S, yes, …., born South Dakota. Randerson, Fay A, son, M, W, 6, S.
4. 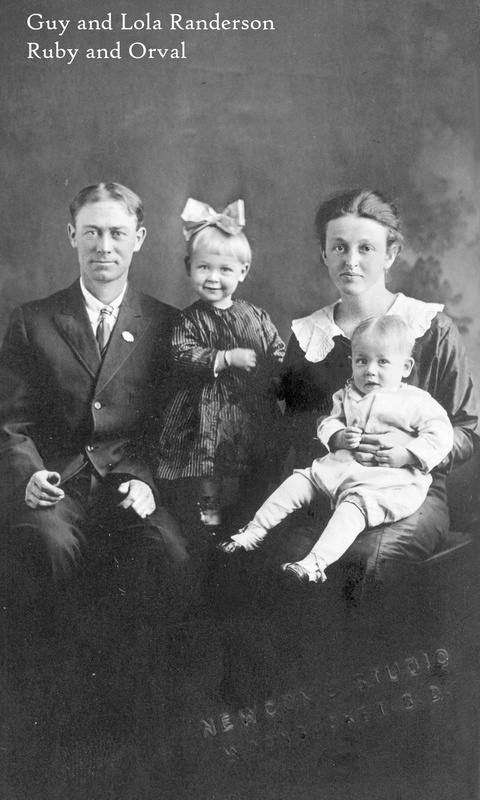 Mabel Sarah Spracklin was born 16 September, 1895 in Somers, Calhoun Co., Iowa. 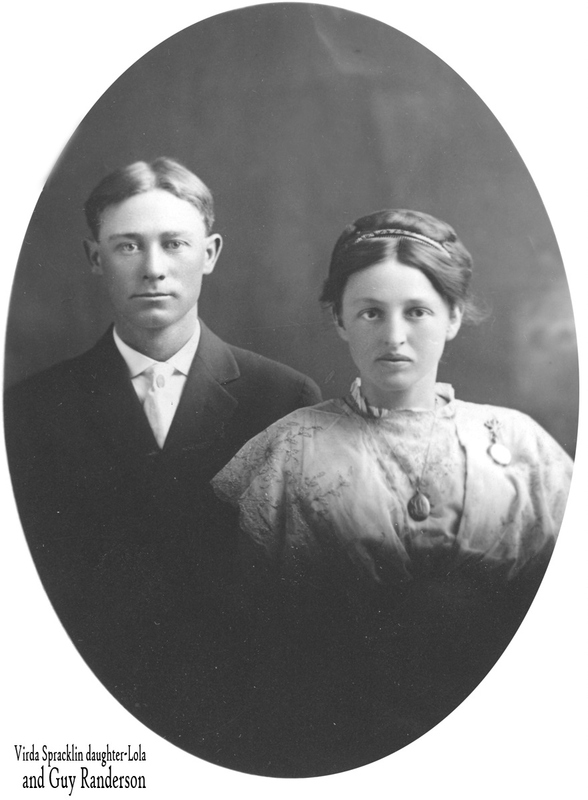 She married Peter Henry Lund 4 July, 1914 in Sanborn, Jerauld Co., South Dakota. They had one child. Source: South Dakota Marriages, 1905-2013, Mabel Spracklin to Peter Henry Lund #42760, Mabel female, age 18, born about 1896, residence Alpena, Jerauld, marriage date 4 July 1914, in Sanborn, SD. Source: Henry Lund Family, Lafayette Twp., Story Co., Iowa, SD#7, ED#194, Sht#18G., enumerated on the 5th and 9th of January 1920 by Lew Johnson. Line 48, Fm, 36, 37, Lund, Henry, Head, R, M, W, 30, M, yes, yes, born Iowa, parents born Norway, yes, farmer, general farm, Emp., 36. Lund, Mabel, Wife, F, W, 23, M, yes, yes, born Iowa, father born Iowa, mother born Missouri, yes, none. Something happened to the marriage to Henry for in the 1930 U.S. Census Mabel is now Mabel Frye with a daughter named Fern Lund. They have migrated to Nebraska. Source: Frank Frye Family, 1930 U.S. Federal Census, Perry Precinct, Emerson, Thurston, Nebraska, ED#87-13, SD#3, Sht#1B, enumerated on 2 April, 1930 by Stanley [Piebitt]. Line 51, 11, 11, Frye, Frank, head, R, 10.00 Vo, M, W, 31, M, 23, No, yes, born Nebraska, father born England, mother Nebraska, yes, laborer, steam railroad, yes, yes. Frye, Mabel, wife-H, V, F, W, 34, m, 19, No, yes, born Iowa, parents born Iowa. Lund, Fern, step-daughter, V, F, W, 13, S, yes, yes, born South Dakota. Here is Mabel’s marriage record to Frank Frye. Source: Record of Marriage, Frye to Lund, July 26, 1922, #88389, Reg#30, Mabel Lund, Residing Woonsocket, S.D., age 26 divorced, married Frank Frye, residing in Alpena, SD, age 24, W.R. Hinds, Justice of the Peace. South Dakota Division of Vital Statistics. Find a Grave has memorials for Mabel Frye and Frank Frye in the Rose Hill Cemetery in Emerson, Dixon Co., Nebraska. Ferne Lund Combs also has memorials and tombstone pictures in the Evergreen Cemetery in Superior, Knuckles Co., Nebraska with pictures, obituaries and links to other family. 5. Solomon (Saul) McKinley Spracklin born 7 January, 1898 in Somers, Calhoun Co., Iowa and died 20 August, 1974 in Omaha, Nebraska. 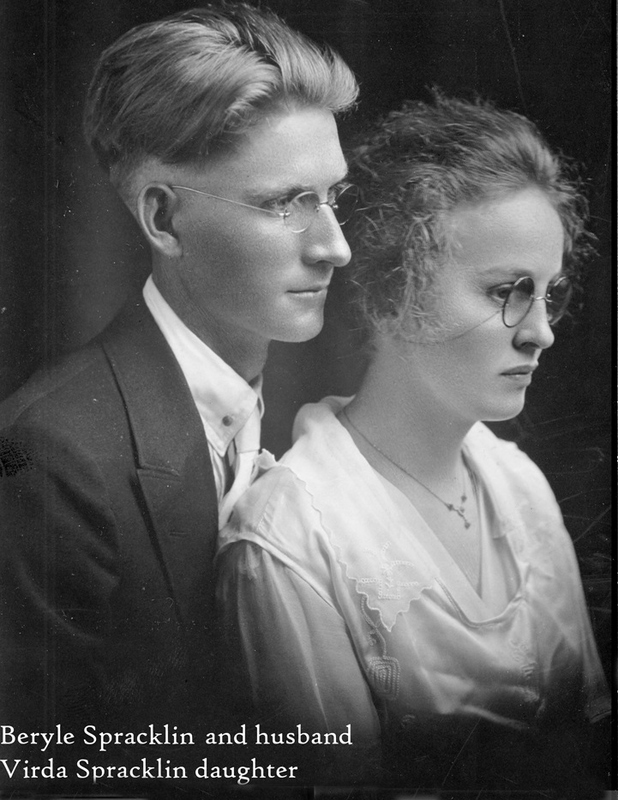 He married Helen Bronson on 11 March, 1919 in Jerauld, South Dakota. They had seven children. Source: South Dakota Marriages 1905-2013, Saul Spracklin to Helen May Bronson, #67207, Reg#130. Saul male, age 21, born 1898, residence Woonsocket, Sanborn, marriage date 11 March 1919, Jerauld, SD to Helen May Bronson age 17. Saul was refusing to be found in the 1920 census so I moved ahead to the 1930 and found him with Helen in Omaha, Nebraska. Source: 1930 Census, Saul Spracklin Family, Dunee Precint, Douglas Co., Nebraska, ED#28-144, SD#7, Sht#7B, enumerated April 17, 1930, by Mrs. J.M, Stafford. Omaha City is crossed off. Line 99, Alamada, 6309, 876, 190, Spracklin, Saul, Head, O, 3500, R, No., M, W, 32, M, 21, No, yes, born Iowa, parents born Iowa, yes, painter, motor, 2922, W, yes, no. Spracklin, Helen M, Wife-H, F,W, 29, M, 16, No, yes, born Iowa, father born Norway, mother born Nebraska, none. Next page: Spracklin, Eleanor A., daughter, No, F, W, 10, S, yes, yes born South Dakota. Spracklin, Eugene G, son, M, W, 8, S, yes, born South Dakota. Spracklin, Helen B, daughter, F, W, 5, S, yes, born Nebraska. Spracklin, Darla M, daughter, F, W, 2, S, no, born Nebraska. Spracklin, Donald, son, M, W, 1/12 S, no, born Nebraska. Saul and Helen are in the 1940 Census in West Benson, Douglas, Nebraska with their family. In searching for the burial for Saul, I stumbled on newspaper articles about his death. He was killed in a parking lot in Omaha by some young kids in July 1974 and died on 20 August 1974 of the wounds from what I can make out. More information is available if you contact me by leaving a comment. 6. Beryl Edna Spracklin was born 4 April, 1901 in Calhoun Co., Iowa. She married Bertyl Andrew Lillehaug on 2 July, 1919 in Jerauld, So. Dakota. Bertyl was born 24 January, 1897 in Lane, Jerauld, South Dakota. 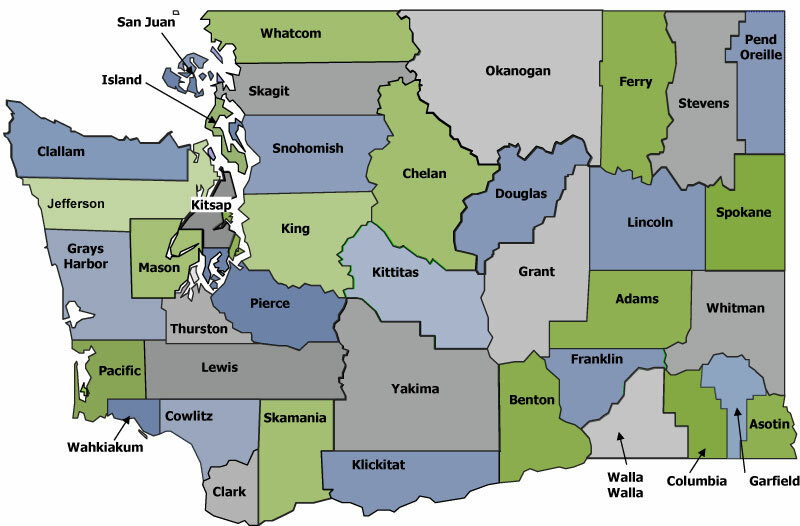 They died in Pierce County, Washington. Bertyl and Beryl had five children: Arlene B., Verda Mae, Alvin B., Bonnie R, Betty A. 1917 Beryl mother of Verda Mae courtesy of a cousin. Source: South Dakota Marriages 1905-2013, Beryl Spracklin, #68945, Reg #144. Peryl Spracklin female, age 18, born about 1901 resident Woonsocket, marriage date 2 July 1919, Jerauld, SD. to Bertel Lillehaug. Summary index it is spelled Peryl no Beryl, on the actual card it is correct. In 1920 Beryl is living with Bertyl’s brother’s family in Viola Twp., Jerauld Co., South Dakota. Source: Sunan Lillehaug Family, Viola Twp., Jerauld Co., South Dakota, SD#312, ED#112, Sht#3-A, enumerated 11-12 March 1920, by A.D. McRay. Line 15, Fam, 41, 42, Lillehaug, Suiian, Head, R, M, W, 27, M, yes, yes, born South Dakota, parents born Norway, farm, general farm, Em, 38. Lillehaug, Ellen, Wife, F, W, 19, M, yes, yes, born Illinois, parents born Sweden. Lillehaug, Bertel, brother, M,W, 19, M, yes, yes, born Illinois, farm laborer, sam fm, OA. Lillehaug, Beryl, Wife, F, W, 18, M, yes, yes, born Iowa. 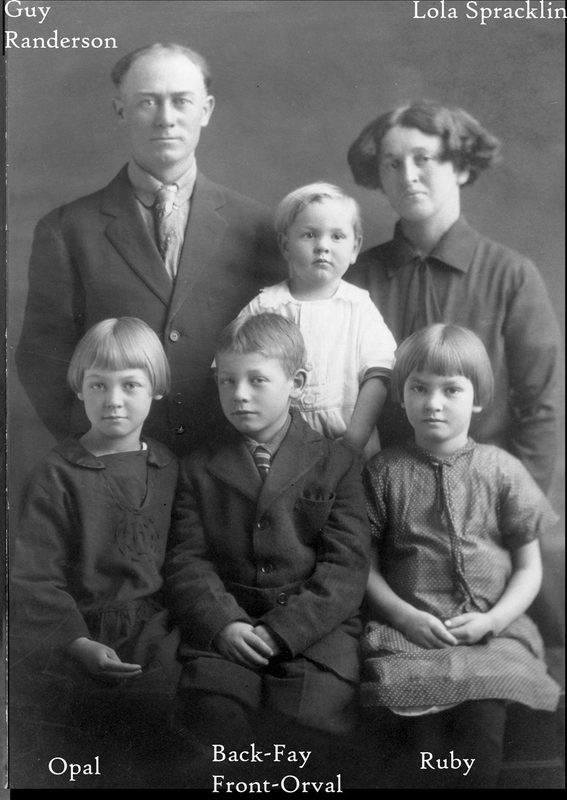 1930 the Lillehaug family is living in Nebraska. Source: Bert Lillehaug Family, Omaha City, Douglas, Nebraska, Ward 11, Block#365, ED#28-122, SD7, Sht#77A, enumerated April 18, 1930, by William E. Conkling. Line 12, 5635, 828, 851, Lillehaug, Bert, Head, R, 25, R, No, M, W, 33, M, 21, no, yes, born South Dakota, parents born Norway, yes, Mechanic, automobile, yes, no. Lillehaug, Beryl, Wife-H, F, W, 29, M, 18, no, yes, born Iowa, father Iowa, mother Ohio, yes, none. Lillehaug, Arline, daughter, F, W, 10, S, yes, yes, born South Dakota, yes, none. Lillehaug, Verda M., daughter, F, W, 6, S, yes, born South Dakota, none. Lillehaug, Alvin, son, M, W, 5, S, yes, born South Dakota, none. Lillehaug, Bonnie R, daughter, F, W, 2 9/12, S, no, born South Dakota, none. Bert and Beryl Lillehaug are still in Omaha, Nebraska in the 1940 U.S. Federal Census. Bertel is working in a Planing mill as an odd jobs worker. The family consists of Bertel 43, Beryl 39, Verda 16, Alvin 15, Bonnie 12 and Betty Ann 1-year-old. So this means they made their migration to Washington State after 1940. Find A Grave has a memorial of their tombstone and son Alvin’s at the Haven of Rest Cemetery in Gig Harbor, Pierce Co., Washington. There are obituaries listed on the index for Bert and Bertyl at the Tacoma Public Library which require a fee to purchase copies. 7. Howard Alfred Spracklin was born 14 September, 1903 in Lane, Jerauld Co., South Dakota and died 19 October, 1977. He married Pauline Kruse on 9 June, 1928 in Jerald. Source: South Dakota Marriages 1905-2013, Alfred Spracklin #124948, Reg#494, Alfred male, age 24, born about 1904, residence Woonsocket, Sanborn, marriage date 9 June 1928 in Jerauld, SD to Pauline Kruse. Alfred and Pauline are living in Alpena in the 1930 census. Source: Alfred Spracklin Family, 1930 U.S. Federal Census, Alpena Twp., Jerauld Co., South Dakota, ED#37-2, SD#5, Sht #1-A, enumerated 14, April, 1930 by John J. Feish. Line 9, 3, 3, Spracklin, Alfred H., Head, yes, M, W, 26, M, 25, no, yes, born South Dakota, parents born Iowa, manager farm, W, yes, no, 3. Spracklin, Pauline E., wife-H, F, W, 18, M, 17, No, yes, born Nebraska, father born Nebraska, mother Illinois, yes, none. Spracklin, Howard A., son, , M, W, 1 5/12, S, no, born South Dakota, none. Alfred was attacked, according to newspaper reports, by two men who stormed into his apartment, stole from him and hurt him in October of 1974. More information will be shared by leaving a comment and I will get in touch with you. 8. Beulah Elsie Spracklin was born 1 May, 1906 in Lane, Jerauld Co., South Dakota. She married 27 September, 1927 to Elmer Ernest Harris. They had five children. Source: South Dakota Marriages 1905-2013, Beulah Spracklin #119950, Reg#471, Beulah, female, age 21 born about 1906, residing Lane, Jerauld, marriage date 26 Spt. 1927 in Jerauld, SD to Elmer E. Harris. Beulah and Elmer are in Rose Hill Township in South Dakota in the 1930 census. Source: Elmer E. Harris Family, 1930 U.S. Federal Census, Rose Hill Twp., Hand Co., South Dakota, ED#30-39, SD#4, Sht#2A, enumerated April 29, 1930, by George Welch. Line 7, 24, 24, Harris, Elmer, E. Head, R, yes, M, W, 26, M 23, No, yes, South Dakota, father born US, mother Ohio. yes, labor, farm, yes, yes, ___. Harris, Beuleh E, Wife, F, W, 23, M, 21, no, yes, South Dakota, parents born Iowa, yes, none. Harris, Daryl JM, adopted son, M, W, 5, S, yes, no, South Dakota, yes, none. In 1940 they are living in Bay Lake, Crow Wing Co., Minnesota. Elmer is 36, Beulah E. is 24 and children. Elmer is working as an operator on a farm. 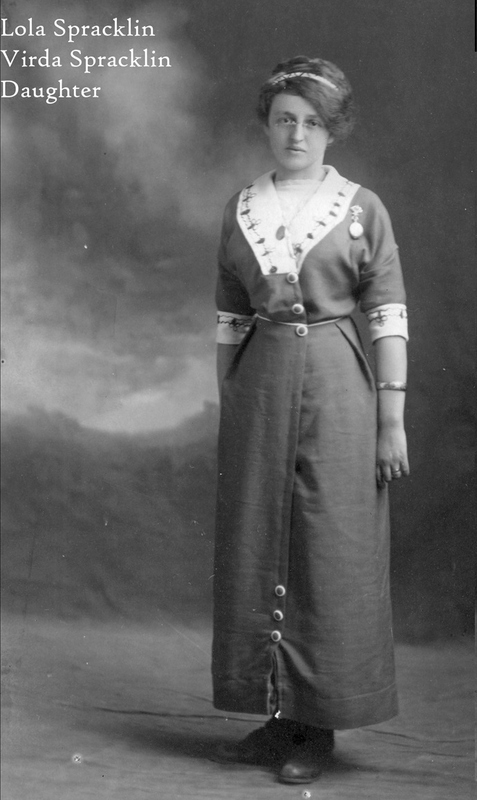 Beulah Spracklin Harris was the mystery niece that attended the Pine River, Minnesota presentation of the play “Tales from the Tall Pines…” in 1985. When I visited Pine River on my three trips there, I was informed of a niece who came to this event. I finally know which of Amarilla’s nieces was involved. Sadly I did not realize that she actually had lived in Minnesota or I would have learned more. See the next post for more about Beulah and this event in Pine River. There is an Elmer E. Harris at Find A Grave with a memorial and tombstone photo. He was born 1904 and died July 15, 1977 in Crow Wing Co., Minnesota and is buried at the Lakewood Cemetery in Crosby. Beulah was living in Bay Lake in 1985 and that is east of Brainerd, Minnesota. It might be her husband but so far I have no burial for her. 9. Gerald Huston Spracklin was born 20 December, 1908 in Lane, Jerauld Co., South Dakota. He married Helen Wilson in 1930 in Moody Lake, South Dakota. They both died within months of each other in 1998. Source: South Dakota Marriages 1905-2013, Gerald H. Spracklin #141484, Reg#258, Gerald male, age 21 born about 1909, residence Madison, Lake, marriage date 18 Nov 1930, marriage place Moody, SD. to Helen Wilson. Jerry and Helen Spraklin (note spelling) are living in Madison, Lake, South Dakota in the 1940 census with [Nihla J.) daughter. Find A Grave has a memorial and tombstone photo for both Gerald and Helen at the Graceland Cemetery in Madison, Lake Co., South Dakota. FamilySearch has school census for the Spracklin family in South Dakota and it looks like most of the children attended either in Alpena or Woonsocket from 1911 to …South Dakota School Records 1879-19700. They have the actual census pages which could me of value to a descendant. There is more to do and share about this family. 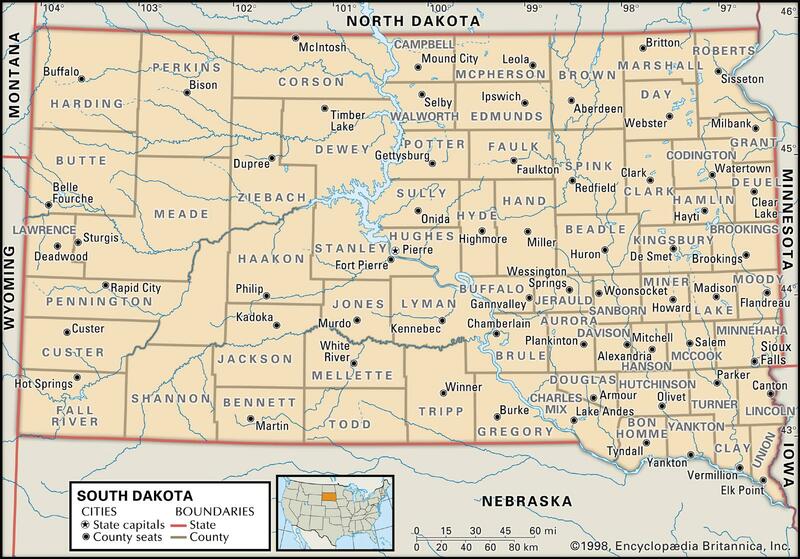 I am not up on Nebraska or for that matter South Dakota genealogy but I do wish to caution you about the names of the locations and to verify them. As always please check the other information found above and make sure it is correct. I am more familiar and knowledgeable about Iowa, Washington State and Minnesota genealogy. I have documents and more collected by cousins that I am happy to share. If you would like to know more about these families, just leave me a comment and I will get in touch with you. My thanks to all those cousins who have helped with me with this family and for the wonderful photos. On November 21, 1898 Amarilla tried again for George’s Civil War pension remember that George tried at least twice to get this money but failed. 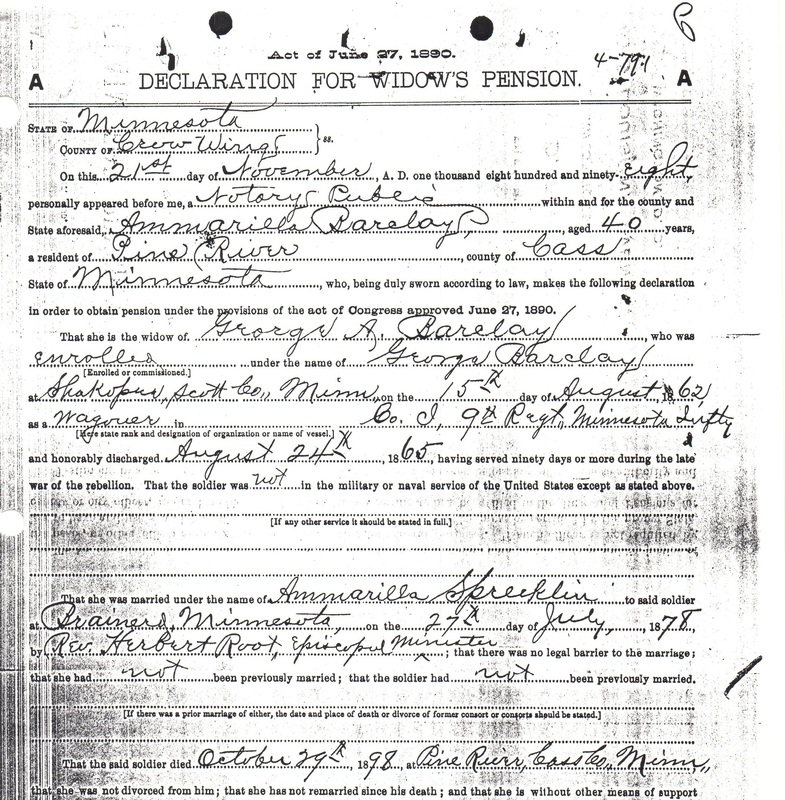 She filed the Declaration for Widow’s Pension in the county of Crow Wing with the help of Henry D. Philips Law Offices of Washington D.C.
Something happened because the claim had the word ABANDONED stamped a on December 9, 1898 document and several others. Apparently on 21 November 1900, J.G. Dawes appears on another Declaration of Widow’s Pension with Amarilla. J.G. Dawes was the notary public at the bottom of the form. So J.G. tried to help her out. Several other documents followed from friends and a physician. They are very interesting and I wonder what stories these people would have told about George and Amarilla. General Affidavit of Bertha Mickelson, 25 February 1901. That she was well acquainted with George Barclay deceased for a period of 4 years before his death. That in the evening of October 29, 1898 about half pass seven o’clock said George Barclay was shot and killed by a person unknown at the time he was sitting in a chair in his own house. I heard the report of the gun saw him fall and he expired on the floor where he fell. The ball passed through his neck. The shot was fired from outside of building and was fired through a window. The Physician’s Affidavit was signed by T. F. [Rodwell] M.D. on the 7th of August 1901. That he is a practicing physician and that he has been acquainted with the said soldier two years, and that he was a man then whose general appearance would not admit I should judge of unusual labor. I met George Barclay September 1896 and occasionally until his death Oct. 1898. Where I was called to testify as to cause of death which was from a bullet fired by some unknown person while said Barclay was seated in his house at Pine River passing through his neck thereby causing instant death. General Affidavit of John Bubar, age 53 years Henry Shalding, age 46 years citizens of Brainerd, 28 January 1902. That they knew personally and were well acquainted with the soldier, George A. Barclay, for a period of 28 years commencing in the year 1867 and continuing up to the time of his death in the year 1898; that they are acquainted with and have known personally Ammarilla Barclay, widow of George A. Barclay, soldier, for a period of 20 years commencing in the year 1882 and continuing up to the present time; that they personally know said George A. Barclay and Ammarilla Barclay were married and lived together as husband and wife; that they verily believe that said George A. Barclay and Ammarilla Barclay or either of them, was never married prior to their said marriage; that the contents of this affidavit are known to affiants by personal knowledge, observation and acquaintance for a time as aforesaid. Something happened and the lawyers were still trying to get a resolution in 1905 and 1906 but it doesn’t appear anything came of it. You notice that the time frame it really stretched out which means that it was difficult to get resolution. Every time the law was updated there would be a flood of these widows declarations. Every time Amarilla applied she would have to resubmit documentation. About December of 1899 Andy Hayford was released from custody regarding the murder of George A. Barclay. There is not much information about Andy Hayford, who he was and where he was from. The 1900 U.S. Census has an Andy Hayford living in Crow Wing Co. who is married with two children born about 1866 in Wisconsin. Whether, this is the same Hayford is unclear, but it is interesting. 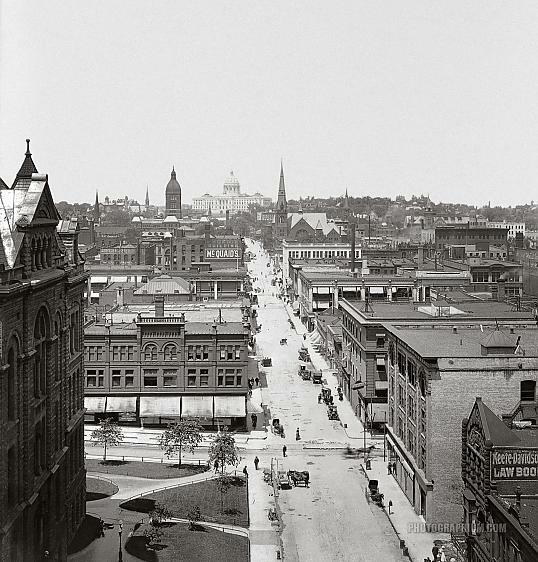 Here is a photo of St. Paul about 1908 which is a little later than our subject but it gives you an idea of what the city was like. Here is a summary of: In the Matter of the State of Minnesota vs. Andrew Hayford, Indicted for Murder in the 1st Degree. That we Andy Hayford as principal and Con O’Brien and J.W. Koop as sureties of the County of Crow Wing – $1000 dollars. The Condition of the Above Obligation is Such, that is the above bounden Andy Hayford shall personally be and appear before the District Court of the County of Cass 1st day of the term at the Court House in Walker on the 7th of May  to answer to the indictment of the Grand Jury on 9th of May, 1899 etc. Witness Our hands this 29th day of November 1899 and signed by Andy Hayford and others. What follows is from the 15th Judicial District Court, State of Minnesota, County of Cass. Application having been made to this Court, for an order admitting the defendant Andrew Hayford, alias Andy Hayford, to bail and fixing the amount of bail bond, for defendant’s appearance at the next general terms of District Court to be held at the Village of Walker, Cass County, Minnesota. Messrs. Jones and Peterson appearing for defendant in support of said application, and after due consideration, an order was made, dated November 25th, 1899, whereby said defendant was admitted to bail on approval of his bond by this Court, said bond for his said appearance being fixed at the sum of One Thousand dollars, with two sureties; and a bond as prescribed by said order having this day been duly approved by this Court and filed with the Clerk of District Court of said Cass County. IT IS ORDERED, that said defendant, Andrew Hayford alias Andy Hayford be discharged from your custody. Dated December 1st, 1899. By the Court. [ Holland] Judge. To the Sheriff of Ramsey County, St. Paul, Minn.
State of Minnesota, County of Ramsey, I hereby Certify and return that by Virture of the hereto attached order of the Honorable G. W. Holland Judge of the District Court in and for the County of Cass in the State of Minnesota, I have this day released from Custody Andrew Hayford Alias Andy Hayford. [J. Noll, Agent] Sheriff of Ramsey County, Minnesota. Dated at St. Paul this 5th day of December 1899. There are no other court documents except these since May 1899 when the Grand Jury convened that explain what happened and why Hayford was released.